When it comes to Japanese and Brazilian Hair Treatments, people are often confused as to what the difference is between the two. This is because there is a lot of misconceptions, most of which would have people believe that the two treatments are the same. However, they are in fact completely different, and we’re going to be looking at the differences. So, what is the difference between the two hair treatments? Both hair treatments offer entirely different things for the people who have them and also use different methods to get their results. The main difference between Brazilian hair treatment and that of Japanese hair treatments is the way that the composition of the treatment differs. 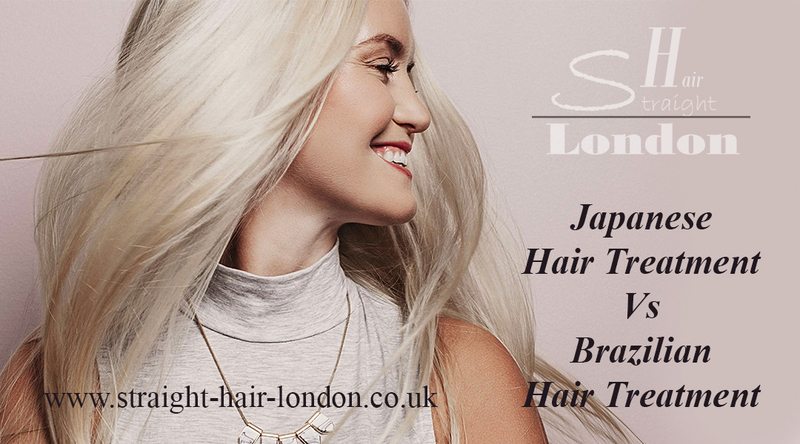 What you’ll find when it comes to Japanese hair treatments is that they are completely natural, containing a mixture of silk, meadowfoam, wheat and soy, which are all used together to create the straight hair which people have come to expect from the treatment. However, the difference between that and Brazilian hair treatment is that the latter contains harmful chemicals such as formaldehyde and formalin, both of which have a detrimental effect on the human body. Japanese hair treatment is very natural and has no ill effects on the system, which makes it the much better choice for those who want a more natural way to straighten out their hair. The Brazilian versions often contain a series of aggressive and obnoxious ingredients which people are unwise to expose themselves too. As well as this, the Japanese hair treatment works in a different way to the Brazilian hair treatments. Japanese hair treatments use two separate solutions to create the hair straightening effect, which is in sharp contrast to the Brazilian method, which only uses one solution, and that solution contains the harmful chemicals mentioned previously, so the gap in quality is both visible and very large. Furthermore, it is a lesser known fact that Brazilian Hair Treatments do not last as long as its Japanese counterpart, instead of being a semi-permanent solution. With the occasional top up here and there, those who opt for the Japanese hair straightening will find that it is a much more permanent process, and will look great for years to come if looked after properly. Overall, the differences between Japanese and Brazilian Hair Treatments are many and varied. The main concern is that you are doing much less damage to your hair when you choose to use Japanese hair treatments, and that is primarily what draws people away from the Brazilian alternative. People value their hair and would like it to stay in the best possible condition, which is why those types of process which could damage it are often not appreciated at all. While Brazilian hair treatment may seem like an alluring outcome at first glance, a deeper look reveals that it is harmful to the body, and could easily result in damage to the hair if you allow it to be applied to your head.